Come join our new gifted educators peer group! Anyone in the field of education is welcome, not just teachers – for example, interns and those working toward their teaching degree/certification, those working in school-settings such as counselors and instructional assistants, tutors, and so on. 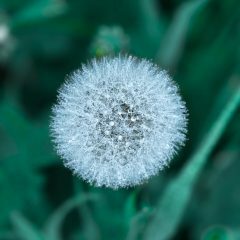 We are an international group where gifted educators can convene to discuss experiences and ideas as they relate to being a gifted educator, educating gifted students, and everything in between. Together we can share our thoughts and problem-solve to find workable solutions. Our group combines open, non-led discussion space with facilitated discussions. We are two teachers, Heather and Malinda. Heather is an elementary teacher, trained in gifted ed, early childhood ed, reading/math interventions for students with dyslexia/ADHD, and ESL. She is also Utah Mensa’s Gifted Youth Coordinator in the US, and is particularly passionate about supporting twice-exceptional students. Malinda is currently a high school teacher, trained in gifted education, elementary education, reading interventions, and ESL. She is also on the National Association for Gifted Children (NAGC) Teaching For High Potential editorial advisory committee in the US. After attending the gifted program as a child and young adult, and seeing her own child through the same, she believes that all gifted students should be provided with quality educational services. 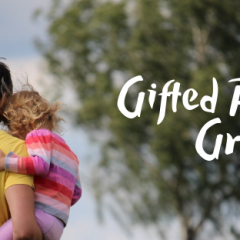 We’ve created this group to help gifted educators and those invested in gifted education around the world to connect, share perspectives and resources, and support each other in the flourishing of their work with gifted students. We want each gifted student in the world to grow and feel successful and inspired, and we’d like to contribute to that goal individually and collectively. We meet in a secret facebook group which is invitation-only, and plan to have group calls and other events and shared projects as our group grows. Our members include anyone in the field of gifted education, not just teachers – for example, interns and those working toward their teaching degree/certification, those working in school-settings such as counselors and instructional assistants, tutors, and so on. If you are an educator and are interested in how your giftedness affects your educational experience and how to best support gifted students, you’ve come to the right place. There is a one-time entry fee of 25 Swiss Francs. This fee covers a bit of our administration time and supports InterGifted’s mission. In order to join, you can send your entry fee of 25 Swiss Francs to us via our pay link and please include a note that your payment is for our educators group, as well as the email address for your invitation (it should be the same one that you used to sign up for your Facebook account). If you have any trouble making your payment or receiving your invitation, please let us know at connect@intergifted.com. We’re looking forward to connecting with you.